An easy to use foot treatment infused with shea butter extracts for concentrated nutrition and hydration. 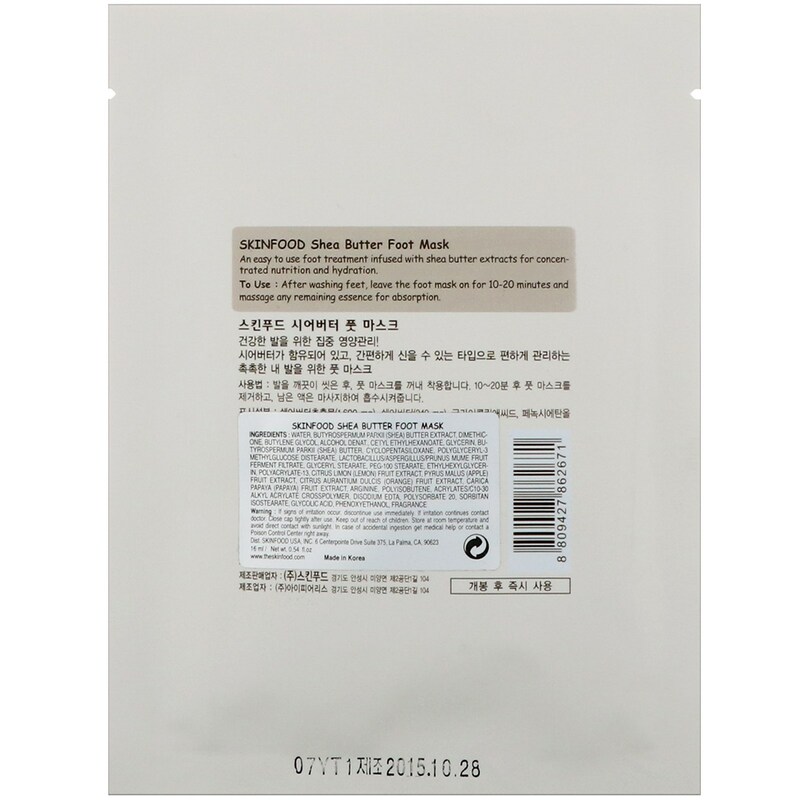 After washing feet, leave the foot mask on for 10-20 minutes and massage any remaining essence for absorption. 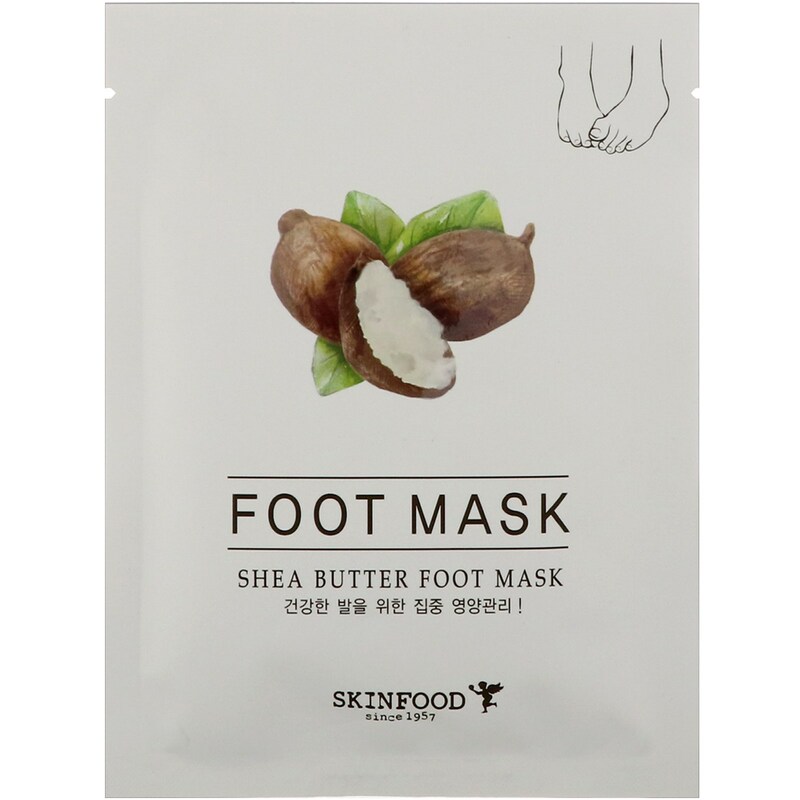 Water, butyrospermum parkii (shea) butter extract, dimethicone, butylene glycol, alcohol denat., cetyl ethylhexanoate, glycerin, butyrospermum parkii (shea) butter, cyclopentasiloxane, polyglyceryl-3 methylglucose distearate, lactobacillus/aspergillus/prunus mume fruit ferment filtrate, glyceryl stearate, peg-100 stearate, ethylhexylglycerin, polyacrylate-13, citrus limon (lemon) fruit extract, pyrus malus (apple) fruit extract, citrus aurantium dulcis (orange) fruit extract, carica papaya (papaya) fruit extract, arginine, polyisobutene, acrylates/c10-30 alkyl acrylate crosspolymer, disodium edta, polysorbate 20, sorbitan isostearate, glycolic acid, phenoxyethanol, fragrance. If signs of irritation occur, discontinue use immediately. If irritation continues contact doctor. Close cap tightly after use. Keep out of reach of children. Store at room temperature and avoid direct contact with sunlight. In case of accidental ingestion get medical help or contact a Poison Control Center right away.